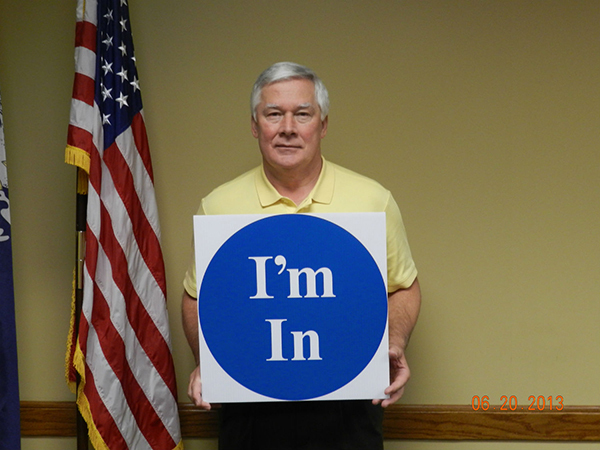 The City of Central Chamber of Commerce is excited to announce the start of the "I'm In" campaign. The purpose of this campaign will be to high light the chamber, draw attention to local businesses and promote our local commerce. If you are interested in being IN here's what you need to do. Write a brief testimonial about your INvolvement with the chamber and send it to us. You could talk about benefits you received or utilized, contacts made, events you've taken part in or anything along these lines. 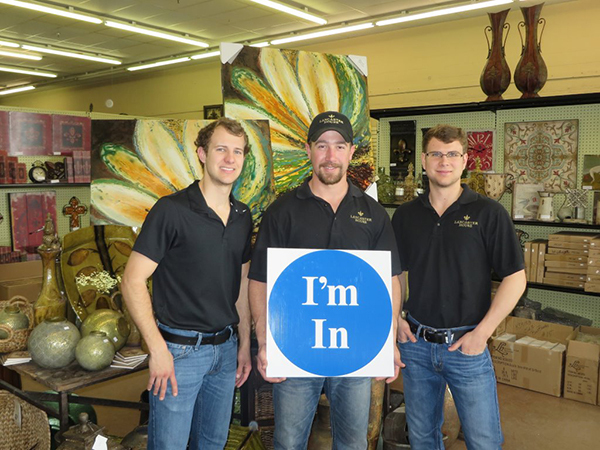 We then would come by your business and take your picture with our new "I'm In" sign. Your testimonial and picture would be put IN the paper. 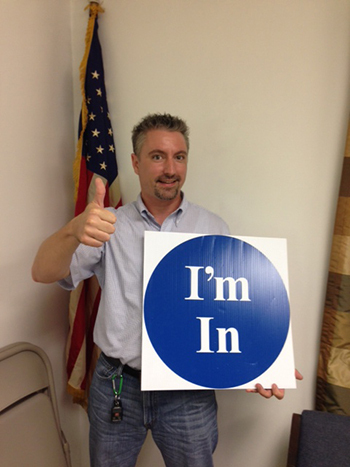 The more that participate the better, so come on IN! My name is Alan Phillips and I am the GM of Raising Cane's here in Central. 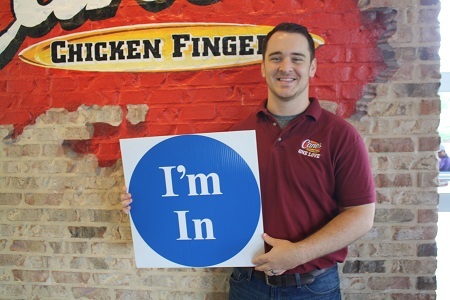 Raising Cane's has been a member of the Chamber for a while now, but my experience started about a year ago. The Chamber has done many things to help out not only my restaurant, but to aid my restaurant in helping out the community as a whole. Whether it's from helping with Lemonade Day, Small Business days, or helping us with the ribbon cutting for our restaurant refresh, they have always been very willing and capable of lending us a hand. Just as we will stay committed to the making the community of Central a better place, I have complete confidence that the Chamber will do the same thing to ensure that Central is a better place for us to live, work, and enjoy life. Moreau Physical Therapy has been a member of the Central Chamber of Commerce for many years and we feel it is a vital part of the business community! The Chamber events are great ways to network with other business in our city. Moreau PT is owned by Al Moreau, Jr.,PT, Al Moreau III, PT and Cristina Faucheux, PT. 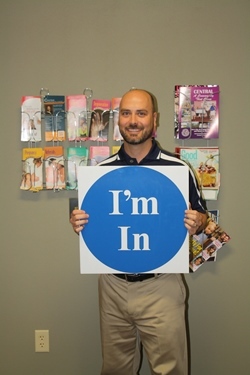 The clinical director at the Sullivan Road location, is Central native, Robin Giles, PT, DPT. Moreau Physical Therapy offers some of the most up-to-date treatment options in physical therapy, occupational therapy, hand therapy and speech therapy. We treat a host of patient populations including post-operative care, sports injuries, orthopedic conditions, neurological conditions, vestibular problems, lymphedema, swallowing difficulty and many more. We also offer a wide variety of services, some of which include: Dry Needling, Graston Technique, manual therapy, balance training, Kinesiotaping, and Vital Stim. Moreau PT is proud to be a part of the Central community and is excited to offer health and wellness services in the area. 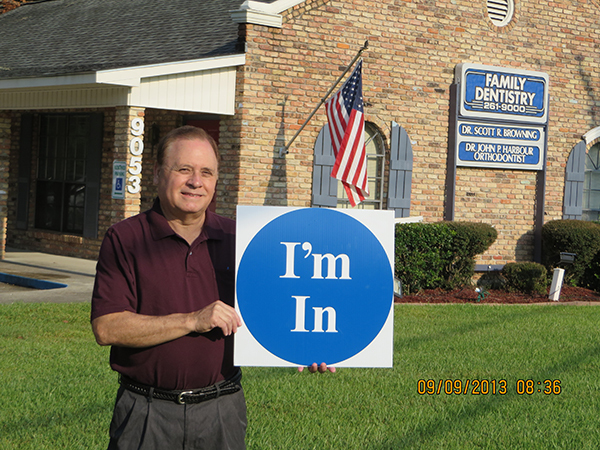 I Dr. Damon Butler, owner of Central Chiropractic Center am honored to be a member of the Central Chamber of Commerce and I am proud to say "I'm In". My chiropractic office opened in 2010 and has been embrassed as an addition to the medical services offered in our community. Our many thanks go out to the Chamber for helping promote our services throughout the area. 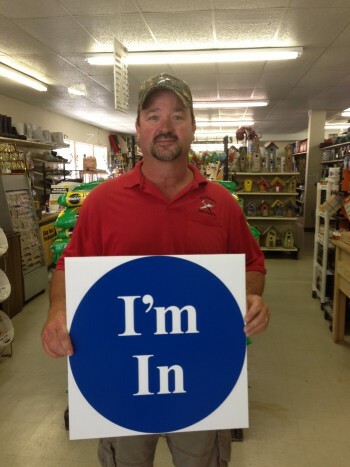 "Floor Busters LLC is proud to say "I'm IN." We joined the Central Chamber of Commerce immediatly after opening in April 2014. Everyone in the Chamber has been so helpful and supportive in helping us as a new business in The City of Central Community. We look forward to working with them for many years to come. Floor Busters offers Commercial/Resiential Carpet, 24 - hour Water Restoration and so much more. No job to big or to small. Who You Gonna Call..... Floor Busters! 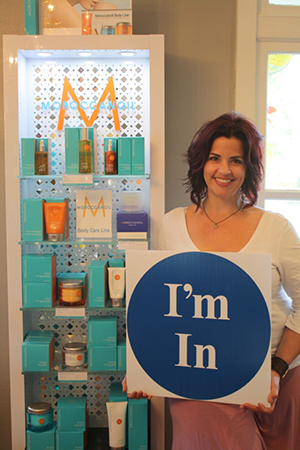 Mandy Chaney, the owner of Bombshell Boutique says "I'm IN". Bombshell Boutique is honored to be a member of the Central Chamber of Commerce. My husband and I live here in Central and we love the Central community. The staff and other members of the Central Chamber are incredibly kind and supportive. We are so excited to be a part of and working with other small businesses to keep shoppers in Central. Bombshell is a young contemporary woman's clothing boutique that offers all of the latest fashions in apparel, shoes, accessories and more... all at affordable prices! We want to thank the community and all of our Bombshell customer's for being so supportive! 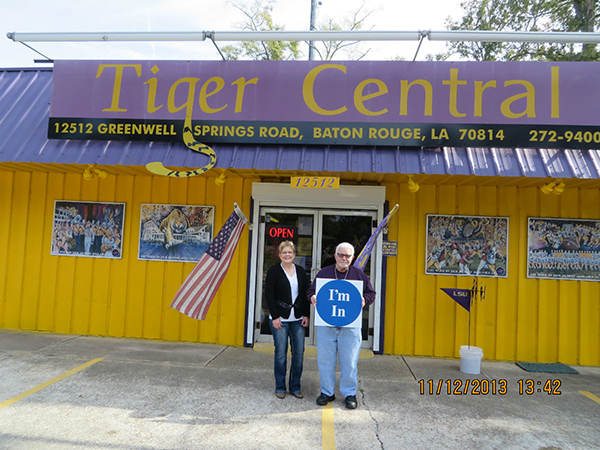 We became members of the Central Chamber of Commerce almost immediately once opening our doors. It is wonderful to have support especially in the beginning. To have respected people believe in you and to be there for you is so appreciated. The staff of the Central Chamber is incredibly kind and supportive. The Chamber events are friendly and an excellent way to network. We consider it an honor to be among such great small businesses owners. We look forward to continued investments in the businesses of Central and the Chamber. Thank you! The three owners of Avant Tous are Ellen Pino, Nicole Keller, and Hope Smith. We are all from and reside in Central. Avant Tous has a glamorous yet laid back spa atmosphere. We offer a full spectrum of skincare and nail services. Our goal is to make each person that comes through our doors leave feeling relaxed, gorgeous, and most of all...special. Please visit our Facebook page to learn more about us! "We recently became a member of the City of Central Chamber of Commerce and want to thank them for opening their membership up to not only Central but the surrounding communities as well. Oakwood Village is an assisted living facility for active seniors as well as a special care neighborhood specializing in memory and Alzheimer's care. 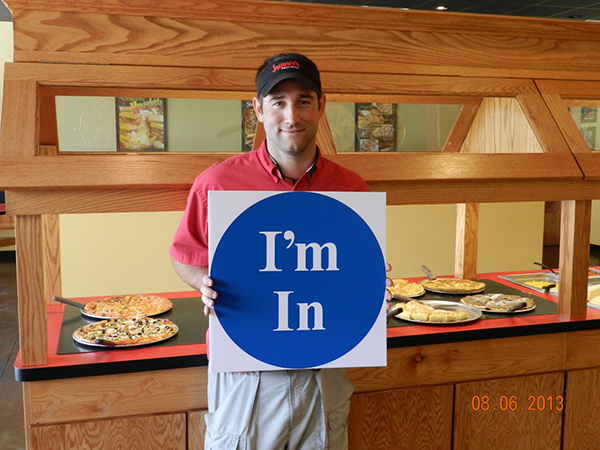 We are proud to say we have served the Central, Zachary and surrounding communities for almost 16 years, now through the Central Chamber membership, we have the opportunity to network and connect with other local businesses in and around the Central area. The events and initiatives that the Chamber sponsors are extremely helpful in developing key relationships within the business community. We hope to continue to be a part of the Central Chamber for many years to come." 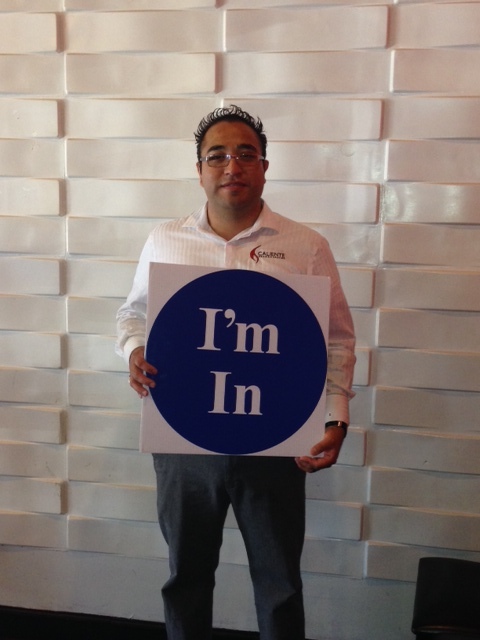 "I believe in the work that the Chamber does and want to be involved in the Central community. With 18 years of experience helping the people and businesses in Central with their financial needs, it is very important to me and the bank to be here to help businesses grow and people succeed. 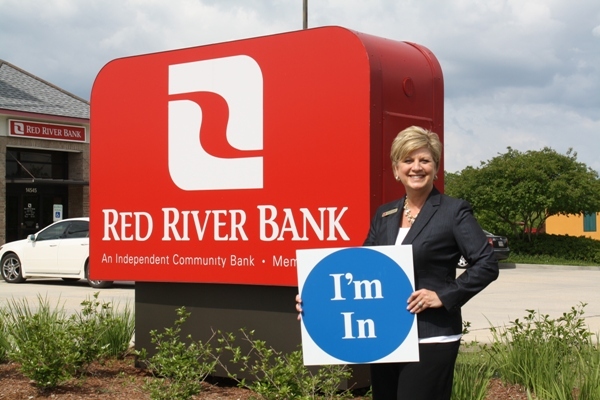 Red River Bank is an independent community bank that is committed to the community by being connected, volunteering and giving back. By attending the Central Chamber functions, it has allowed me to reconnect with previous customers, which in turn, has afforded me the opportunity to bring in new business to Red River Bank. Red River Bank provides local decision making and keeps banking simple. Whether it's a commercial loan, personal financial advice or financial education for students, our staff is here to meet the financial needs of this community. Come by and have a cup of coffee with us and visit with one of our friendly staff. Cathy Denson, Lucy Palmer, Simone Thompson, Bianca Pickett, and Rosie Dunn. I opened my Caliente in December 2007 and joined the Central Chamber of Commerce shortly after. My wife and I reside and shop in Central. The Central community is very important to us and that's why we are members of the Central Chamber of Commerce. The Chamber promotes the local businesses; so in turn, it is important to our local economy. We have enjoyed and benefitted from being apart of this great organization. 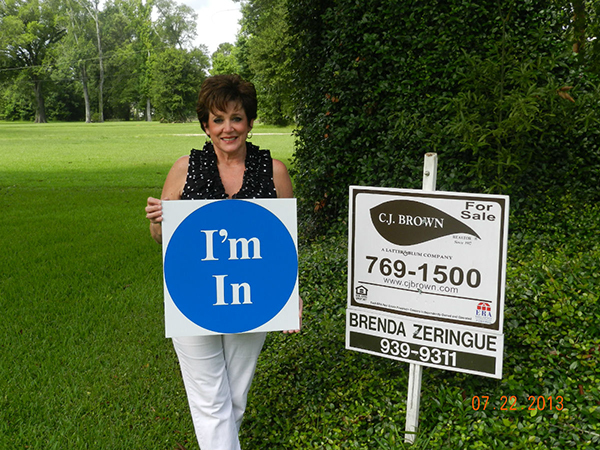 Peggy Duncan & Amy Williams/Uptown Country Things says “I’M IN”! Uptown Country Things is a resale/consignment shop located in the Oak Point Shopping Center on Greenwell Springs and Sullivan Rd. Owned by Amy Williams and Peggy Duncan Mother/Daughter-in-Law team. As business owners in Central, we would like to welcome you to our store. We sell a variety of new and gently used items such as furniture, clothing, household items, jewelry, home decor, gifts, hair bows and antiques. 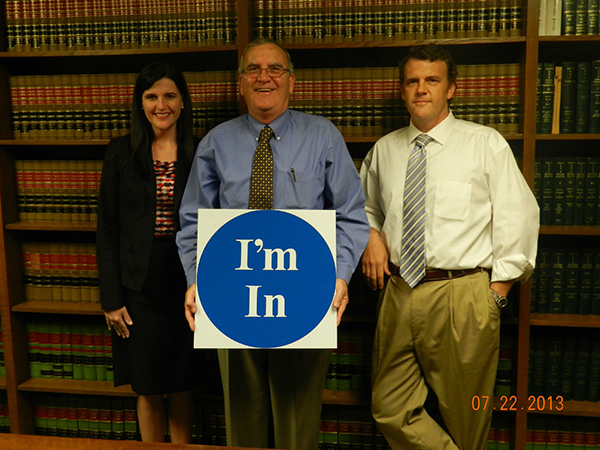 We joined the Central Chamber a couple of months ago and are proud to be members. The Chamber welcomes and helps businesses in the area whether new and just starting out or older established, they have helped our business by promoting, and they keep us informed on all the cities functions and social events. Thank you Central Chamber!! All of us at Lancaster House are residents of Central and we believe in supporting our community. 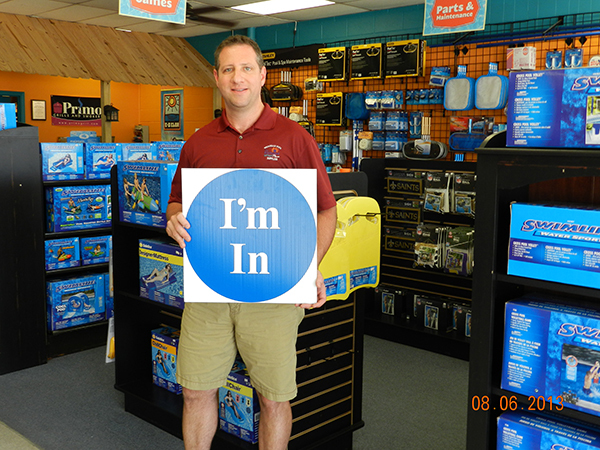 We are "in" because the Chamber promotes all businesses in Central. Shopping local not only helps the businesses; it creates tax revenues for our city. 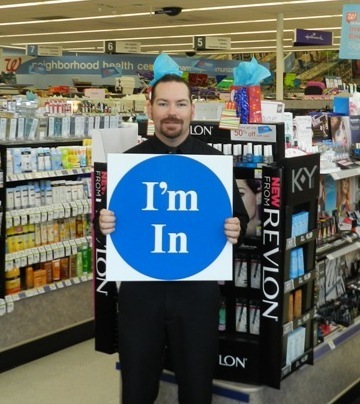 We are so excited to be working with so many other small businesses to bring shoppers into our community. The New Year also brings in new owners (same faces) to Lancaster House. As many of you know, we are a family run business; now our family members: Jeff and Heather Prisk, along with Michael and Adam Bingham are all Co-Owners. Drop by and visit us during our next sale-March 7-9. 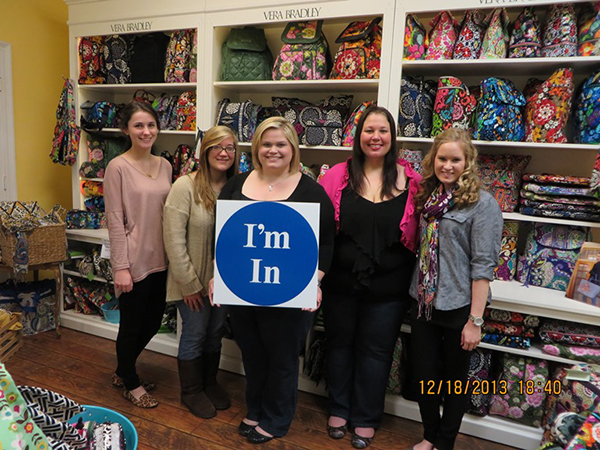 Sandy Antoon / Sandra Lynn’s Boutique says “ I’m In “! 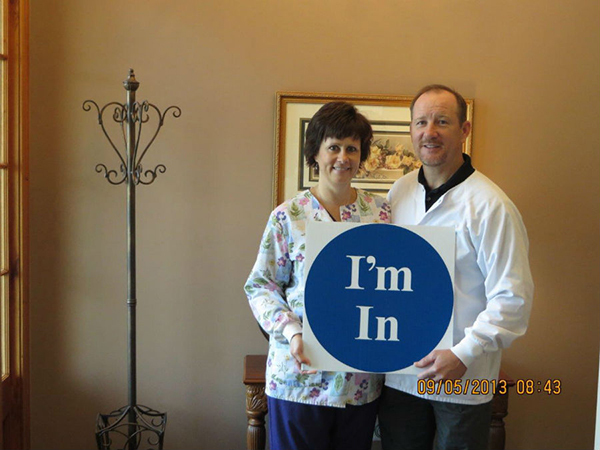 Matt & Kathleen Price of PriceCo Supply say “ I’m In “! “Matt and Kathleen owners of Price Co Supply Company are proud to be a part of the Central Chamber of Commerce for all the support they give to local businesses! They provide Networking opportunities as Chamber Luncheons, Business After Hours, Leads for Lunch, Business Over Breakfast to name a few in order to promote their business to the Community. It has been a pleasure networking with businesses and meeting Members of the Community. 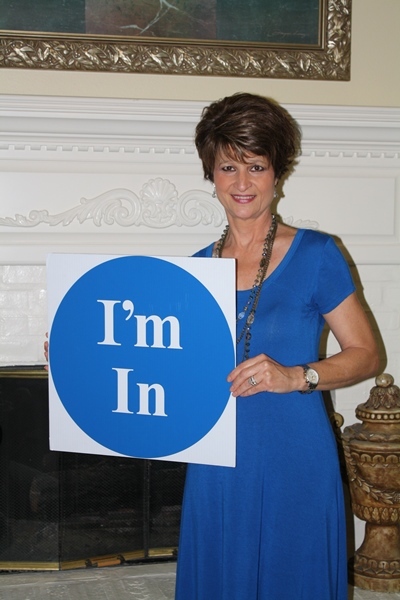 Margaret Chair, the owner of The Quilt Corner is excited to say "I'm In!" The first thing I did after opening my quilt shop here in Central, was to join the City of Central Chamber of Commerce. The Chamber has been very helpful to us. 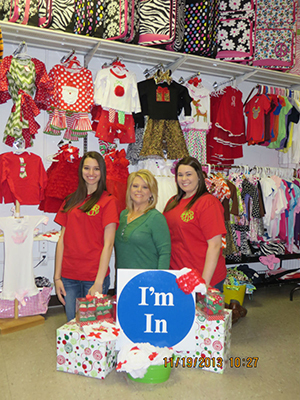 We jumped right in and participated in Small Business Saturday. With the chamber's promotion and advertising, plus the participation of so many local businesses it was a great success! It is wonderful to belong to an organization that is standing behind the businesses in the community and working so hard for our success. The Quilt Corner is located in the Central City Shopping Center at the corner of Hooper and Sullivan Road. We carry a large variety of 100% Quilters Cottons, patterns and sewing notions. Our selections include LSU, Real Tree Camo, Mardi Gras fabrics and so much more. If it has a Louisiana flair we have it! We also offer classes, quilting services and sell Handi Quilter Longarm Quilting machines. Store Hours are Monday - Friday, 10-5, Tuesdays and Thursday's til 6 and Saturday from 10-2. We would love to share our passion for all things quilting with you! 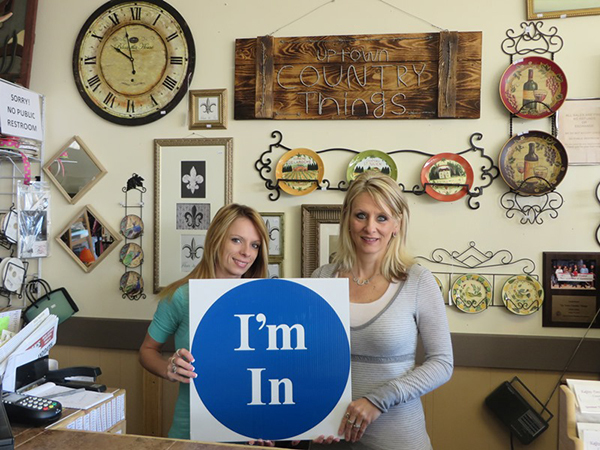 Misty Rembert & Stacie Braswell of Lola and Company says “ I’m In”! 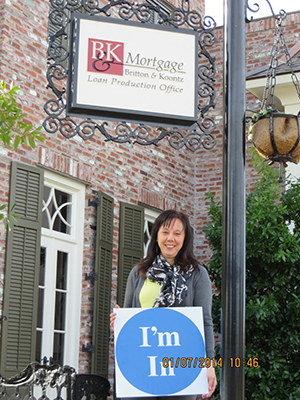 Britton & Koontz Bank is happy to say that belonging to the Central Chamber of Commerce has provided many opportunities to grow our mortgage division. The Chamber has done a great job of providing many avenues through events such as, the Monthly Chamber Luncheon’s, Business After Hours and Leads for Lunch; to not only meet and network with other business owners, but also to get to know the citizens of Central. The Chamber has definitely been a help in letting Central know what great services B & K Bank has to offer. That’s why I’m In! 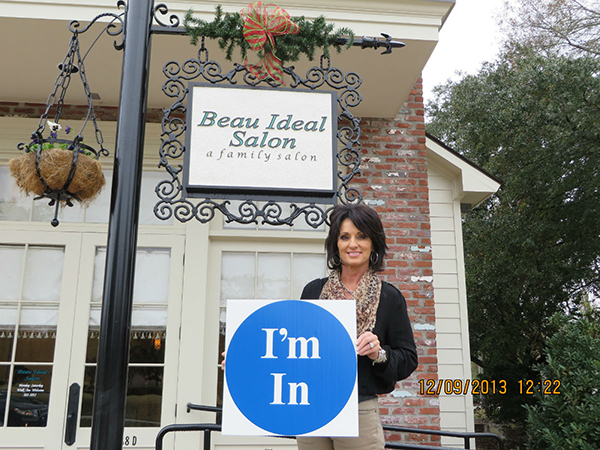 Stephanie Rabalais of Beau Ideal Salon says, "I'm In"! “I moved to Central about 10 years ago and shortly after I started the process of opening a Hair Salon with the help of my husband, Steve. Without knowing but a few people, I knew joining the Central Chamber would be a good way to get my name out. 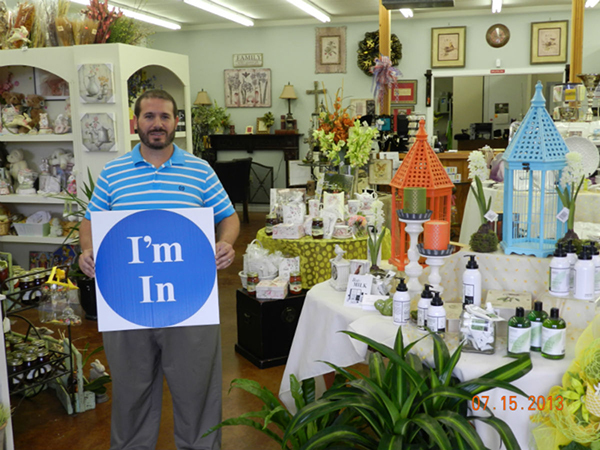 The Central Chamber does so many things to help new and older businesses by promoting and supporting each business. In 2001, Baton Rouge Teachers Federal Credit Union had not undergone its transformation to Neighbors Federal Credit Union. Even then, management recognized the potential of the tiny community of Central. BRTFCU made a decision to invest in the community by opening a temporary location in an old drive-in diner on Hooper Road. In 2001 Trisha Prilleaux joined the team at the newly opened branch. In 2003, BRTFCU became Neighbors Federal Credit Union and both Neighbors and Trisha have continued to grow. In 2006, NFCU joined the newly formed Central Chamber of Commerce. 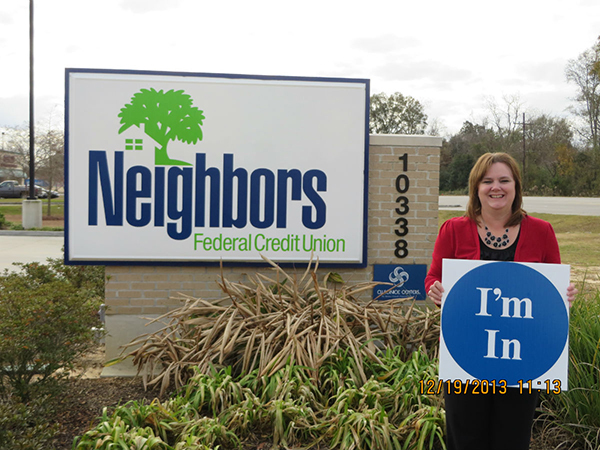 As the City of Central continued to boom, NFCU saw the need for an expanded presence in the community. In 2011, Trisha oversaw the opening of a new branch on Wax Road at Sullivan. Trisha now manages a staff of 10 people and the City of Central Chamber of Commerce has been vital to the growth and success of Neighbors Federal Credit Union. 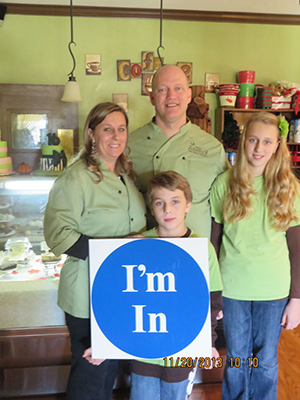 When we joined the Central Chamber years ago, we wanted to get to know other business owners that could help us with our bakery. Then, when we opened our restaurant 3 years ago, most people thought we only service cakes and desserts. The Chamber was a great way to let everyone know that we also served Breakfast, Lunch, Beignets and Gourmet Coffees. Through the Business Over Breakfast, Leads Over Lunch and After Hour Socials, we were able to introduce many of our different menu items. Hosting these types of events brought a lot of people through our doors to see and taste what we have to offer. Donating edible door prizes at the monthly luncheons was another way to keep our name in the public eye. 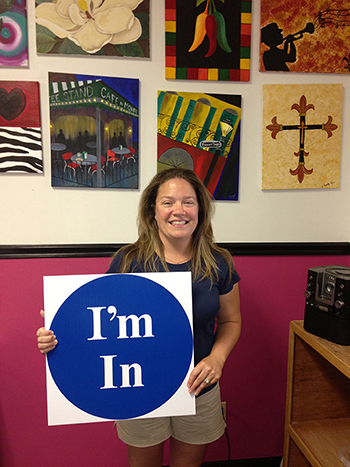 Stacy LeBlanc of Once-N-Again says I’m In! Once-N-Again has been a part of the Central Community for fourteen years. Central, from the beginning, has been very welcoming to us as a small business. We would like to thank our past, present and future customers for shopping and recommending us throughout the years. We strongly believe in shopping and staying in Central. We would like to thank the Chamber for allowing us to be a part of such a great organization. The Chamber has allowed us to put our business out in the community and get great feedback from the people of Central. Our customers always tell us we are a hidden treasurer in Central. We specialize in unique gifts, baby items, monogramming, and bows. Thank you Central for all the support over the past fourteen years. We pray for many more years to come. 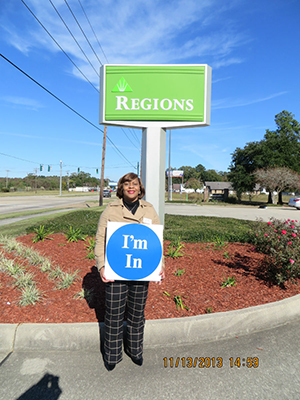 “After 13 years of working for Regions in and around the City of Central, I can confidently say that Regions is committed to making our community better. Whether it is an individual, a small business, or a large company, each relationship is an opportunity for Regions to make a difference in our community. By being a member of the Central Chamber of Commerce, I am able to be better informed on economic development, small business growth, and a host of other initiatives that are making a positive impact on our community. That’s why We Are In!" 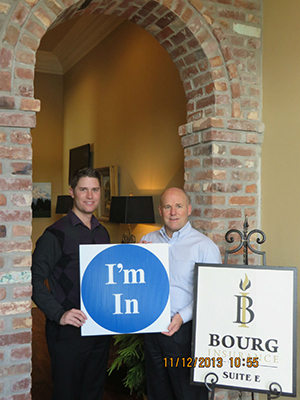 Brennan Bourg of Bourg Insurance Agency says “ I’m In”! 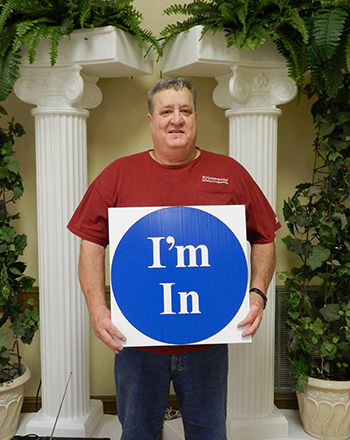 “We became a member of the Central Chamber not long after we moved to Central back in 2012. Since we have opened our office here, we’ve come to know and love the unique support and closeness of this community. Through Chamber membership you have the opportunity to network alongside of many of Central’s reliable, local businesses. 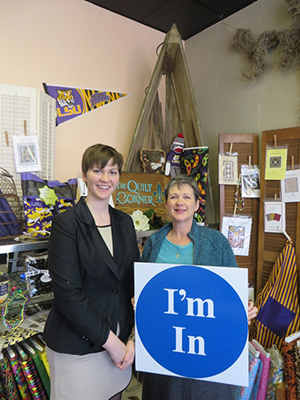 Bourg encourages Central residents to shop local when looking to conduct business! If your needs are currently being met—wonderful! 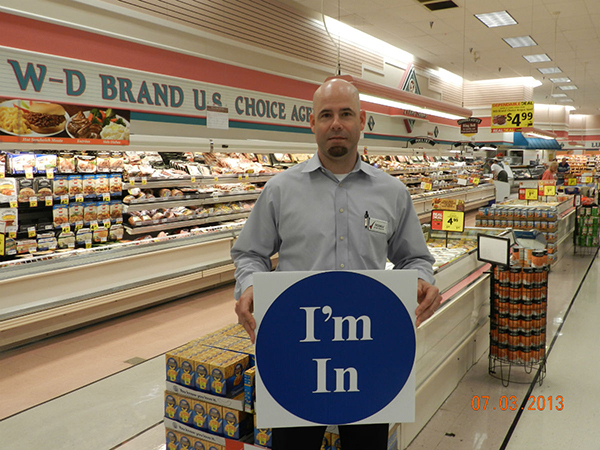 If you would like to shop your insurance, please give us a call. We would love to help protect you and your family. Being a “Trusted Choice” independent agency, there is very little that is out of our reach”. “Operating our business in Central for nine years has given us the opportunity to provide educational services to families in the Central area and beyond. By working together, we become valuable tools for the people in our community. From civic notifications to social interactions with local business owners, the Central Chamber of Commerce offers plenty of opportunities for businesses to be noticed and appreciated. That’s why “ I’m In “. I’m proud to say Central Physical Therapy is a member of the Central Chamber of Commerce. As a former recipient of the Chamber’s Business of the Year award, Central Physical Therapy has been saying “we’re in“for 12 years now. Business owners won’t find a better organization for keeping their finger on the pulse of what’s going on in the local business community. The meetings also give local business owners an opportunity to network and to seek solutions to common concerns. It’s also a great opportunity to get a quick rundown on who’s doing what in the community. We especially enjoy the different guests brought in to speak. They‘re always informative and address issues local businesses are facing. When we can we like to bring our therapists to the meetings as a kind of job perk. Aside from a good lunch, it’s a good opportunity to expand their contact base and become more productive as contributing member of the CPT team. These are just a few of the really good reasons to belong to the Central Chamber of Commerce. 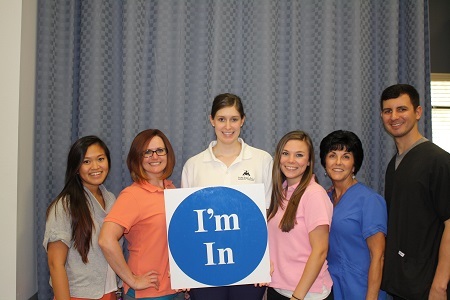 When it comes to Chamber membership, Central Physical Therapy is definitely “All In “. As an original member of The City of Central Chamber of Commerce since it was established as CABA, I encourage all Central businesses to consider joining this great organization. The Central Chamber has been instrumental in forming the City of Central and represents businesses in both political and economic matters in East Baton Rouge Parish and the State of Louisiana. The Central Chamber is the “Voice of the Business Community”, and it is a great way to network with other local businesses ”. 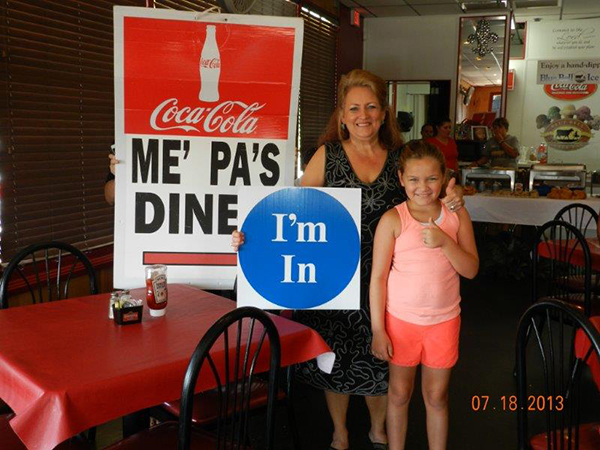 Melissa Dykes of Me’ Pa’s Diner says I’m In! We want to say a Big Thank You to the City of Central Chamber of Commerce for helping the south end of Sullivan Road Businesses during the Sullivan road closure. They are here to help the businesses in Central anyway they can. If you’re not a member it's not too late and I promise it makes a big difference to have their support. 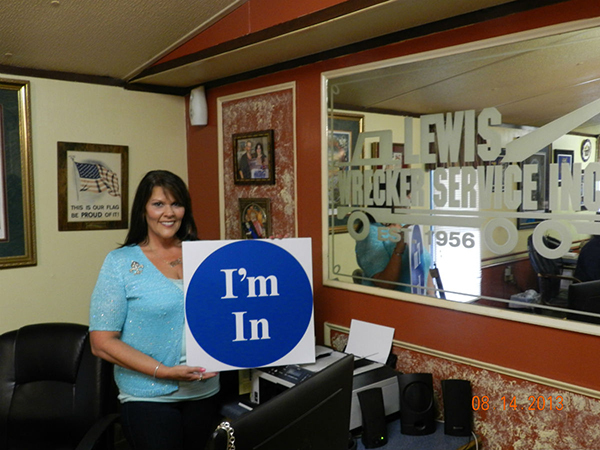 Michelle Lewis of Lewis Wrecker Service, Inc. says “I’m In”! Now a new generation of businesses has moved in to call Central home and CABA is now the Central Chamber of Commerce. As the manager of our family owned and operated business that has been providing exceptional towing and recovery services to Central and surrounding areas since 1956. It is with CENTRA PRIDE I am a member of this fine group of business owners and leaders to make Central the best city in Louisiana”. 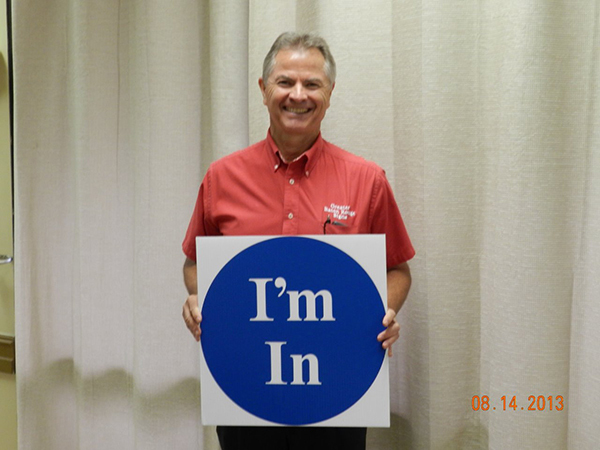 “I have been a member of the City of Central Chamber of Commerce for a number of years and it has been great. The Chamber is run by a great group of people and they push to help Central business grow. I have seen the Chamber grow from a small group of businesses to a very large group over the years. If you are in Central you should get in also”. The Central Chamber is a wonderful networking tool and a wealth of information! Anytime I need something they are always there to help. I appreciate everything the chamber does for our Central Community! These are progressive times for our “City of Central". It is exciting to watch the calculated growth of our dear city. This best kept secret is becoming more and more popular. I’m proud to say that the City of Central is a great investment in your family and your financial future. I would like to thank The City of Central Chamber of Commerce for welcoming me with open arms. The Chamber has given me the opportunity to meet our community leaders and local families as well. 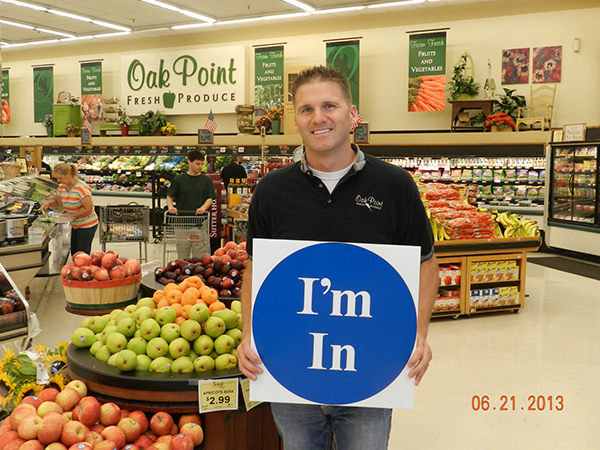 Because of the Chamber, I have a better understanding of what our community is about. I feel being a Chamber member has helped make my transition to Central a very smooth and effortless move. What I like about the Central City Chamber of Commerce is having a source that allows me to network with other business's and its effectiveness in helping to create a stronger business base, which in turn improves the overall lifestyle throughout the Central community. Also, I appreciate the way the Chamber of Commerce makes a genuine effort to establish a solid bond between the leaders of Central and the Community that we serve in. The Chamber is a great way to come together and support existing and new businesses in Central. There is strength in numbers and by working together we can improve the business climate as well as the overall quality of life in Central. Five years ago, my wife and I moved our marketing firm to Central. We joined the Central Chamber that fall and began to network with other business owners. Our business benefited greatly as we began to get to know people. Then, it got even better, the Chamber announced their newsletter sponsorship package. We sponsored the newsletter for many months which allowed me to get up in front of Chamber members at the luncheons and talk about my business for 2 minutes. Each month, members learned more and more about our business and us personally. I highly recommend every business to join the Chamber. There are many opportunities to network, get the word out about your business, and get involved in the community through the Chamber. We are so thankful to be part of the Chamber of Commerce in Central. They've done an awesome job for the local businesses and the community. Without their influence and support we couldn't have grown to be the #1 Real Estate Company in Central. We are so pleased to be a part of such a great Chamber of Commerce here in Central. They do so much for our great community and help lead the way for business to succeed in our marketplace. The City of Central Chamber of Commerce provides DEMCO with opportunities to fulfill its mission to be a good corporate citizen. Events and initiatives sponsored by the chamber have proven beneficial in developing quality partnerships enabling us to serve our members at a high level. I just wanted to send you a quick note to let you know I LOVE the new Member website! It is so easy now to create events on the calendar. Then the new reports section makes it so easy to get an immediate response on who is seeing what and how you can make changes to drive more traffic. Just wanted to say THANK YOU for the changes!! The best part about being in the City of Central Chamber of Commerce, is the chance to meet other business owners and bounce ideas off of one another. They may have tried things you are considering or you can share other ideas with them that have worked for you!